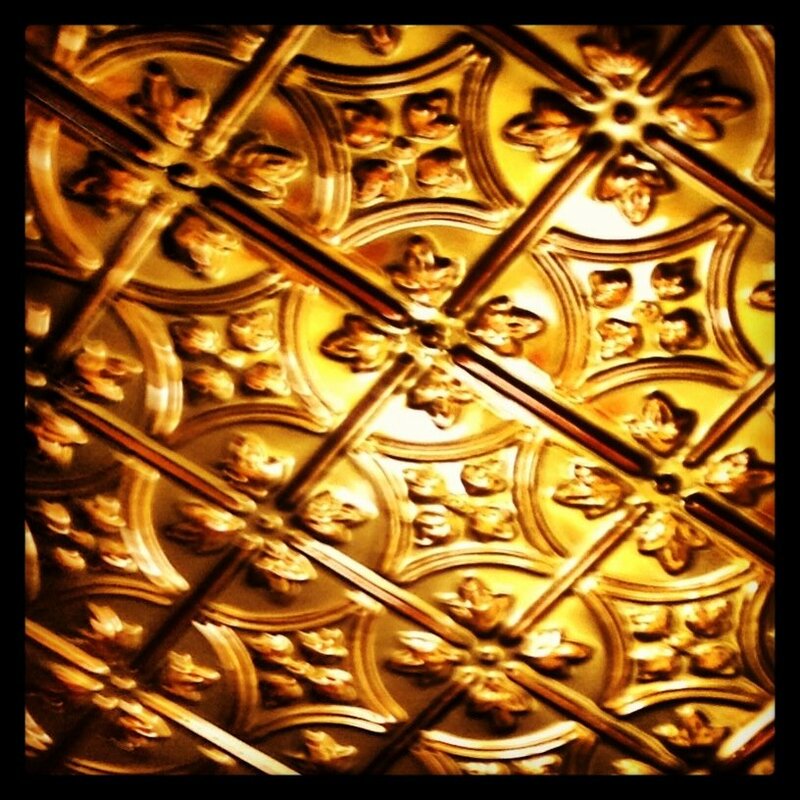 There isn’t much that gets us more excited than walking into a new restaurant, looking up and noticing a tin ceiling. Much to our surprise, that is exactly what happened yesterday. We are in New York City visiting Izzy during her foray interning for Michael Kors and helping Matt’s mom as she recovers from knee replacement surgery. Andy met us in the city on his way from DC to New Hampshire and requested deli. 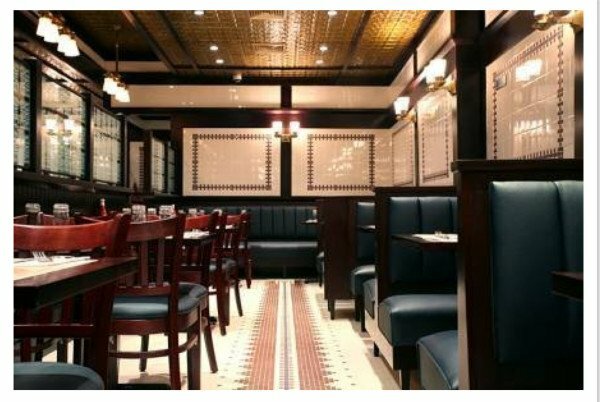 Generally we are Carnegie Deli devotees but decided to branch out and try 2nd Ave Deli on 33rd Street which gets a #1 rating on Yelp and is located much closer to where we are staying. The food was good but this restaurant ceiling was great! 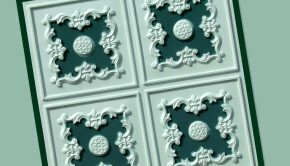 Check out the decorative ceiling tiles – not only are the ceilings tin, they have used one of my favorite designs, 1204 Tin Ceiling Tile – Classic Queen Victoria. 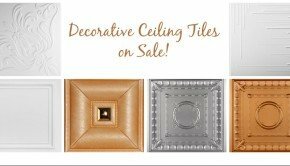 Looking to spend a bit less, 148 Faux Tin Ceiling Tile is the exact same pattern and is available in both gold and brass. The copper version is stunning but also the most expensive. 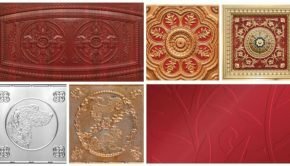 Installation of tin ceilings is an affordable easy way to take your home or business from drab to fab in just a few hours. 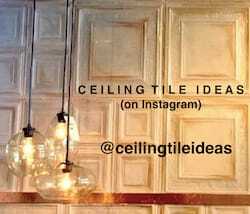 Check out how easy tin or faux tin ceilings are to install! 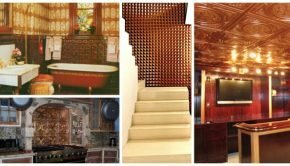 Summary: Installation of tin ceilings is an affordable easy way to take your home or business from drab to fab in just a few hours. 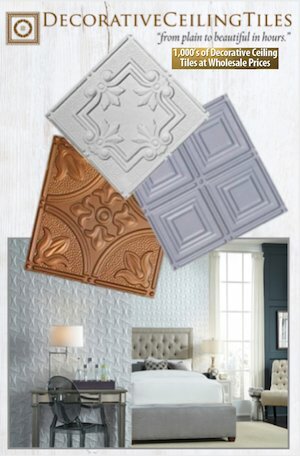 Check out how easy tin or faux tin ceilings are to install!